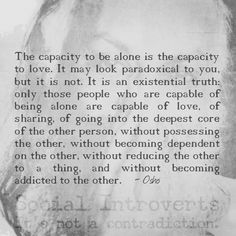 Now this Osho man here, he’s GOTTA be kidding me! This is the second quote by this guy which seriously makes me wonder… Seems like a very troubled soul! Never gonna get how gazillions of people can indulge into this kind of philosophy. So here’s what he said that reminded me how his other quote had ticked me off. 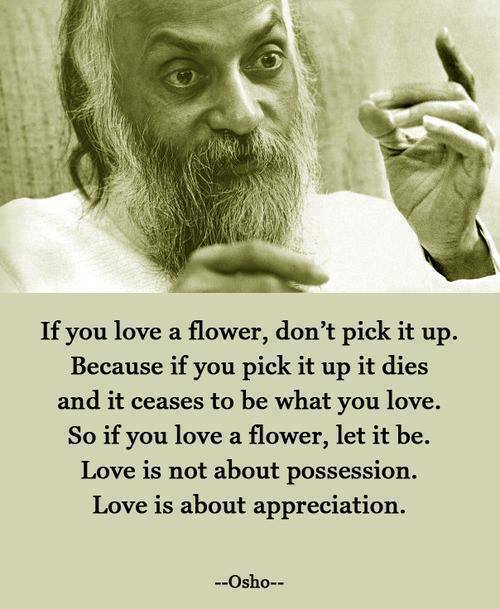 Love is not about possession. Those who love, value people, and not things. Things can be possessed. Not love. An infant is dependent on the 2 people who love him the most, and with time as the child grows, the parents are dependent on their offspring’s love and support. That dependency, has other names. It comprises of not just love and support, but also infinite respect, trust, a bond like no other, compassion and several other emotions that build the essence of the relationship in its entirety. A child and his parents is just one example… there are several more. The dependency such relations have on one another is far from material possessions and their importance.